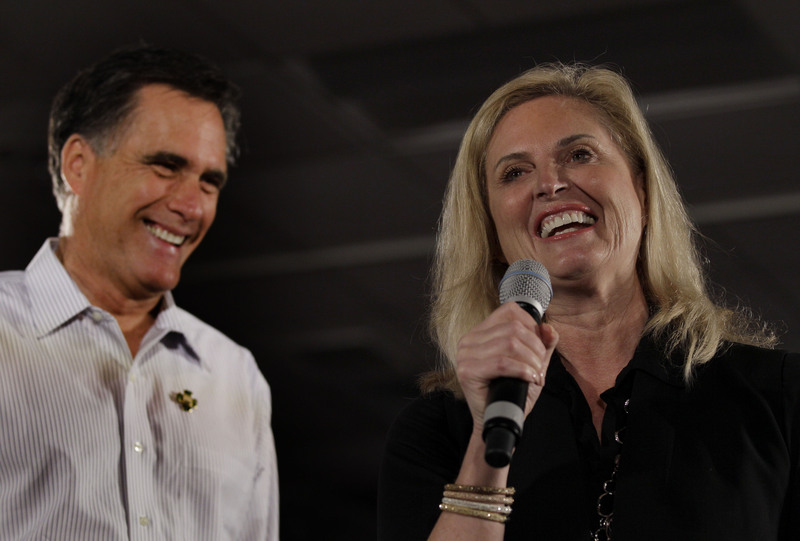 Ann Romney is not only raising her profile of late, she is also raising some money -- serious money. The wife of presumptive Republican nominee Mitt Romney turned 63 today, and tonight she is in McLean, Va., outside of Washington, fundraising for her husband's campaign. Tomorrow, she will be in New York City for a birthday luncheon hosted by Donald and Melania Trump, which has netted over $600,000 for the Romney campaign, according to a Trump spokesman. The impending Manhattan event has proved so financially successful, says Trump spokesman Michael Cohen, that the Romney campaign asked Trump to host a similar fundraiser when Romney secures the Republican presidential nomination. According to Cohen, tickets to that event would sell for $50,000 and 50 donors have already expressed interest in attending. Tuesday's event at Trump's primary residence, a triplex on 5th Avenue, was originally only supposed to hold 200 people. But when capacity was filled within 48 hours of invitations going out, the campaign "began to panic," says Cohen. He says they asked to extend the number of people attending, which will now be 400. In order to accommodate the droves, there will be two shifts of attendees - the first batch of 200 spending time with Ann Romney from noon to 1:15 p.m., and the second crowd coming in from 1:30 p.m. to 3:00 p.m. Buddy Valastro, star of the Bravo show "Cake Boss," custom designed a cake for the party. Trump endorsed Romney in Las Vegas on February 2, calling the Romneys "a great couple" during his announcement. At the time, Mitt Romney joked: "There are some things that you just can't imagine in your life; this is one of them." The former governor described himself as "not quite as successful as this guy, but successful nonetheless." Since then, Trump has recorded multiple robo-calls for the campaign in various primary states, leading to a public display of gratitude from Mrs. Romney during victory remarks on Super Tuesday. Speaking before her husband in Boston, she thanked Trump, calling him an "honorary Buckeye...for being on the radio for us all the time in Ohio." "We appreciate everything Mr. Trump has done and will continue to do to help Mitt Romney defeat President Obama and get elected the next president of the United States," says Romney spokesperson Amanda Henneberg. The Romney campaign declined to comment on how much money Trump's fundraiser today or future efforts would bring in.